Observation - Bird - Mistle Thrush [Juvenile] - UK and Ireland. 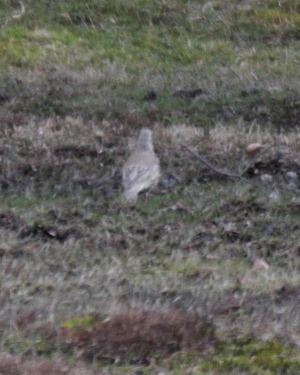 Description: Poor photograph I know and it was at a distance, but I think that this may be a juvenile - any offers? Larger than the Song Thrushes that were feeding nearby. Poor photograph I know and it was at a distance, but I think that this may be a juvenile - any offers? Larger than the Song Thrushes that were feeding nearby.